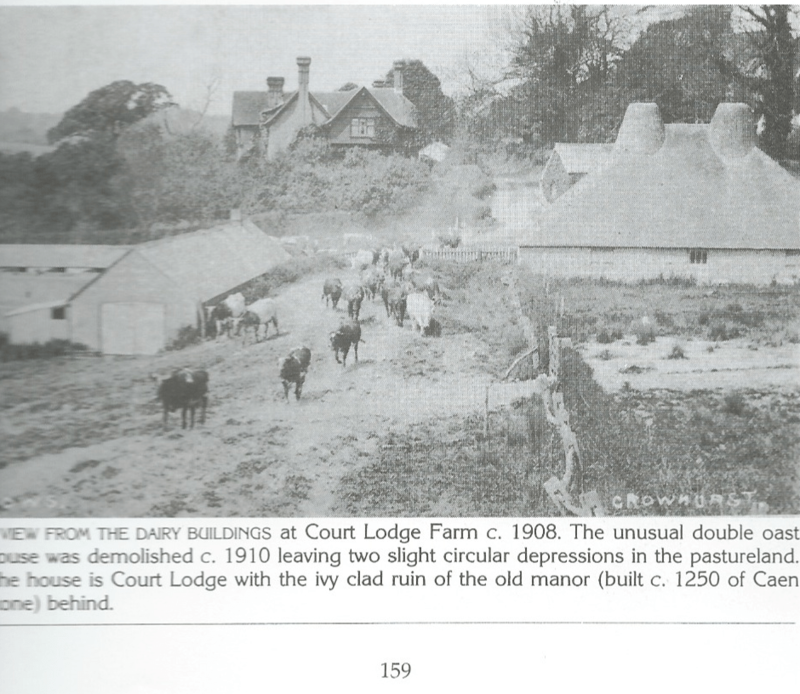 The stone for the building at the manor house site in Crowhurst has been identified by the author Alan Gillet in his 1989 book Battle and Robertsbridge Old Photos. The significance is that Caen stone was usually used in great buildings built by the Normans, usually upon the instructions of the King, at the time of the Conquest. The primary use was Canterbury Cathedral, Norwich Cathedral and the Tower of London and a relatively small amount at Battle Abbey. The confirmation of Caen stone on this site in Crowhurst is good solid evidence of Norman involvement in the construction. I am in the process of getting confirmation from a stonemason source and am waiting to hear from Canterbury Cathedral where they have a team working on Caen Stone. Hopefully they will be able to assist. Clearly this reference is not to what is below ground and relates to those stones that were probably robbed out at the time of the building of the current ruin (estimated to be 1220AD). I am sending this evidence to English Heritage who must take this into account when they review the battlefield application. The presence of Caen stone indicates Norman construction or re-use of Norman stonework re-used in the Manor House construction and would confirm why the Norman arches are present in the wall previously misidentified as 13th century by W.S.Walford in 1884 and appears to confirm Norman construction, as only the Normans had access to this building material in this early period of History. It is possibly significant that the other site in the area which has Norman Caen stone elements is the Church in the Wood Hollington – the nearest church to the Manor House and Wilting Manor where the Normans landed.